Not many people can claim to have been to Maine, let alone experienced its charms. It's small, out of the way, and quiet- not exactly your stereotypical vacation spot. And yet a visit to Maine is full of its own unique rewards. Enjoying some steamed lobster, hiking along the beautiful coastline, or relaxing in a hammock under a shady tree- these don't have to be happy illusions. In Maine, they're just part of everyday life. Here we've put together the resorts, lodges, and inns that we believe best show guests what Maine is all about. Situated on 387 acres of picturesque mountainside terrain overlooking Penobscot Bay, Point Lookout Resort is ideal for the nature enthusiast that resides in all of us. Maine’s scenic Mid-Coast region is a borderline nature preserve, and Point Lookout makes full use of it. The resort itself is surrounded by 3.8 miles of hiking trails, giant Maine pine trees, and red granite boulders. Make your way down to the rocky shore of the resort's private beach access while keeping your eyes peeled for wild turkeys, porcupines, moose, fox and more. Inside your spacious cabin you'll be privy to all of the comforts of a fine hotel or bed and breakfast, along with the added space and conveniences of a fully furnished cabin complete with kitchen, refrigerator, stove, microwave, screened in front porch, cable television and wireless internet access. The cabins are five miles from Camden Hills State Park. Amenities include a fitness center, a bowling alley, and indoor sports courts. At Bar Harbor Inn & Spa you have access to, among other things, the premier panorama of Frenchman Bay and the Porcupine Islands. When the sun hits the water just right, this view sings. It's not just a pretty picture, of course; Bar Harbor Inn is also an iconic New England resort full of hospitality, superior service, and timeless charm. Besides its homey charms and modern amenities, staying at Bar Harbor also gives you easy access to the area's plethora of nearby unique shops, art galleries and waterfront activities. What's even better- you'll never want to rush the walk, as the entire way you'll be enjoying the beautiful vista of the rocky Maine coast and Acadia National Park. The hotel consists of a historic inn and a modern lodge. Other amenities include a fitness center, a heated outdoor pool, a spa, and event space. Sitting on the edge of picturesque Boothbay Harbor at the location of the former Rocktide Inn, Boothbay Harbor Oceanside Golf Resort is the quintessential Maine experience: full of charm, hospitality, and stunning coastal vistas! Whether you're here for the weekend or the week, you'll be blown away by Boothbay's commitment to each and every guest's experience. Step into your exquisitely prepared accommodations and get comfortable- it's easy to with all new furnishings like king size beds with 5-star luxury linens! The outdoors can be enjoyed in any number of ways as well; exploring the coastline on a schooner, playing a round of golf at the Country Club, or simply walking across the historic footbridge to the plethora of local shops and restaurants. It's good to know that when you return you have a room fit for royalty waiting for you! Boothbay Harbor Country Club is the perfect Maine golf course, featuring breathtaking vistas, challenging holes and a sea breeze blowing off the ocean. Located just minutes from downtown Boothbay Harbor, Boothbay Harbor Country Club’s 18 championship holes are truly an unrivaled golfing experience. Coastal Prime is Boothbay Harbor’s new restaurant and bar with a picture-perfect blend of sea and sun from all vantage points, our indoor and outdoor dining spaces are perfectly suited for everything from intimate dinners and family gatherings to meetings and celebrations. If you're interested in living the high life (and, honestly, who isn't? ), the Mariner Resort's charming gardens, pristine landscaping, and wide range of accommodations on the Ogunquit Tidal River will fit you to a "T". Step inside the Mariner and you'll be treated to a whirling dervish of hospitality, opulence, and comfort. There's both single rooms and double suites to choose from, all of which feature flat-screen cable television, refrigerators, microwaves, and individually controlled air-conditioning/heat. Around the resort you'll find a large outdoor pool, oversized hot tub, and indoor pool with scenic vistas. When you aren't enjoying those, you'll be out exploring the natural beauty of Maine’s southern coast, visiting art galleries, and enjoying rustic lobster pounds and elegant dining. The motel is within walking distance of Ogunquit Beach. Amenities include outdoor and indoor pools, plus bocce courts, and outdoor games. The fact that a large portion of the Beachmere's guests are returners speaks to the Inn's commitment to giving each and every patron an unforgettable experience. 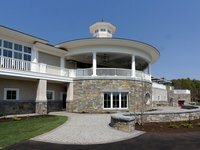 The breathtaking ocean views and grandiose amenities of the Beachmere will make you feel spoiled from start to finish. Luxury suites and unique rooms are yours to choose from, each features plenty to make you feel right at home. Fireplaces, kitchenettes, and private balconies are available in room, while around the Inn you'll find a spa, exercise room, and hot tub for maximum relaxation. There's plenty within walking distance of the inn as well, so head into town for drinks and some delicious seafood! The resort is a 15-minute walk from both the Ogunquit Playhouse and Perkins Cove, a bay with an outdoor mall of boutique stores. Complimentary breakfast is available, and there's a bistro and bar. Sebasco Harbor Resort is nestled among whispering pines and adjacent to the rugged Maine coast. In short, it's paradise. The 550 acres of tranquil shoreline bliss Sebasco Harbor Resort calls home is ideal for anyone and everyone who seeks relaxation. Step inside and make your weekend what you'd like. Go pamper yourself in the full-service waterfront Fairwinds Spa, unwind in your comfortable suite, or spend a night in the romantic Lighthouse with your soulmate. However you spend your time at Sebasco, you'll have an unforgettable time. The hotel is under seven miles from Popham Beach State Park, Fort Popham, and Squirrel Point Light Station. Amenities include casual terrace dining, plus an upscale oceanfront restaurant serving regional cuisine. At Mount Battie Motel you'll find breakfast, hospitality, and majestic views quite complimentary! Once you arrive you won't just find your room immaculately prepared- you'll also find superb hospitality and majestic surroundings as an impressive backdrop. That backdrop can be experienced in a multitude of ways- Hike, bike or drive up Mount Battie to see the view, or head into town and enjoy a plethora of outdoor concerts and theater shows. When you return you have your spectacular rooms to look forward to! Rooms are furnished to accommodate a variety of guest needs, from size to opulence. Sleeping configurations range from one-bedrooms to spacious family-suites that sleep seven. What's not to love? The motel is 4.5 miles from Camden Harbor and 6.3 miles from Camden Hills State Park. The first words that greet you on the Wilsons website are "If you enjoy nature and the outdoors, you’ve come to the right place!" We couldn't say it better! Since 1865, Wilsons on Moosehead Lake has been a fantastic way for people from all over the country to experience Maine. The innumerable activities available in and around the Resort mean that there's never a dull moment, while the spacious lakefront cottages offer relaxation and rustic splendor in equal part. Cottages range from one to five bedrooms, but each features full bathrooms and fully equipped kitchens. You'll never want to go home! All cottages have thermostatic heat, electricity, and hot and cold running water. There's also a hot tub onsite so don't forget your bathing suit! If you're looking for a vacation destination where you can take a break from the stress of everyday life and recharge your mind and body, there's no better place than Maine's beautiful southern coast. Ogunquit, Maine, is an especially charming retreat that brings together all the peace and quiet of a small sea town with the grandeur of breathtaking ocean views and outdoor adventures. 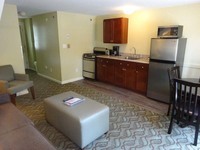 When planning your trip, OgunquitHotels.net can make finding the right accommodations a breeze. They feature three premier hotels located right in the heart of Ogunquit: Grand Hotel, Pink Blossoms Resort, and Sea Rose Suites. Each option is located close to the area's best attractions and provides a selection of modern amenities to ensure your comfort and convenience. Grand Hotel features two-room suites with refrigerator, microwave, two flat-screen televisions, and free wireless internet. Pink Blossoms Resort offers a wider range of accommodations in the form of one-bedroom units, two-bedroom duplex unit, and even a four-bedroom house. Explore Maine’s coast from Cod Cove Inn at your own pace. Located between the Pemaquid and Boothbay peninsulas, here you will find all you need to meet your vacation tempo, both upbeat and low key! Whether you want just to eat lobster, see lighthouses, hunt for antiques, or go whale watching, you will be within an easy driving distance to your desired destination. The amenities of a small hotel and the personal attention of a bed and breakfast are perfectly accompanied by beautiful rooms in a warm and inviting atmosphere. Enjoy the stunning views of the Sheepscot River and the town of Wiscasset as you unwind, relax, and indulge on your memorable Maine vacation. Maine’s mid-coast is lined by a diverse, rocky coastline with tidal inlets such as the Damariscotta and Sheepscot Rivers. Discover the rich shipbuilding and fishing heritage of Maine's coastal villages, enjoy a lobster dinner on an outdoor restaurant deck, go kayaking along the inlets, or out to sea on a sailing ship or whale watch adventure. Your arrival at Cod Cove Inn places you sitting high on a hill surrounded by four acres of lawns and gardens. A pretty, two-story New England-style inn, Cod Cove Inn has a commanding panoramic view of the western sky, the Sheepscot River, and Wiscasset, Maine's prettiest village. Cedar Crest Inn, located at the gateway to the picturesque town of Camden, Maine, offers the privacy of a hotel and the friendly atmosphere of a coastal inn. Located less than three and a half hours from Boston and one and a half hours from Portland, Cedar Crest Inn is the ideal destination for those who wish to explore Maine’s beautiful Midcoast region. The Cedar Crest Inn features 37 rooms throughout three buildings, with each room including free high-speed wireless internet, a flat screen television, and a deluxe continental breakfast in-season. Take a dip in their heated outdoor swimming pool, let the kids run around at their playground, or take a leisurely stroll through their beautiful perennial gardens. The Inn is a place where unforgettable memories are made, spring, summer, and fall. A limited number of pet-friendly rooms are ready to welcome your four-legged friend. When your pet checks in, he or she will be pleased to find a comfortable pet bed, water and food dishes, and a special welcome treat. If you would like to venture outside the inn, go shopping at the villages of Camden and Rockport, which offer a variety of eclectic shops and studios, discover the rich shipbuilding and fishing heritage of Maine’s coastal villages, or enjoy a lobster dinner on an outdoor restaurant deck. Camden Maine Stay Inn offers the charm of yesterday with the comfort and amenities of today, making it the perfect place for a Maine weekend getaway. Camden Maine Stay Inn is a grand old mid-coast bed and breakfast situated on a 1-acre garden with tree-lined winding paths, a brook with a granite bridge, benches, and a swing. Camden Maine Stay was originally a grand mansion built in 1802 and has been restored perfectly, giving guests a magical feeling only a historic home can offer. The inn is the second oldest building of the sixty-six lovely homes that are listed on the National Register of Historical Places in the High Street Historic District. Every room at the inn has its own style and includes wireless internet, a private bathroom, and bathrobes. There are three things that nobody should miss when visiting Camden: sail on a windjammer, meander through the park to enjoy the waterfall and the enchanting harbor, and see the incredible view from the top of Mt Battie. Visit Camden Maine Stay Inn for a delightful trip back in time. Known as “the village where the mountains meet the sea,” Camden has been described by scores of travel writers as the most beautiful village in Maine. Camden Maine Stay's rates are for up to two people per night and include coffee, tea and homemade cookies in the afternoon, as well as a full gourmet breakfast in the morning. Deep in the heart of Maine’s Great North Woods, The Birches Resort on Moosehead Lake is a privately owned, 11,000 acre natural paradise. The Birches Resort was built in the 1930’s as a hunting and fishing lodge. Now, it stands as one of the choicest destinations in all of New England, partially due to the endless barrage of activities available in and around it. In the summer guests go canoeing, kayaking, hiking and mountain biking, while in the winter visitors love exploring the area by snowmobile. Accommodations range from cabins on the lake and lodge rooms to large rental homes. Whatever your space requirements are, you'll be easily accommodated! 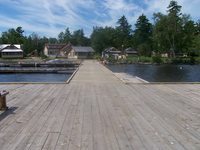 The resort sits on the shores of Moosehead Lake and has views of Mount Kineo. There's a gift shop and meeting space, plus a lounge and a casual restaurant. Located just a short walk from the famed Footbridge Beach, the Footbridge Beach Motel offers well-appointed accommodations in the town of Ogunquit, Maine. Surrounded by beautifully maintained grounds and gardens, Footbridge Beach Motel features a heated outdoor pool and sundeck, as well as an outdoor picnic and grilling area. All rooms at the motel are non-smoking and feature original artwork and photography. Footbridge also offers amenities such as complimentary wireless internet, heat and air conditioning, and cable television. Being only minutes from Ogunquit Village, the motel gives guests convenient access to Ogunquit’s many attractions including restaurants, shops, golf, fishing, sea kayaking, and hiking. Footbridge Beach Hotel guests have a wide array of dining options in the area. Try the Greenery Cafe for breakfast and boxed lunches for your trip to the beach, BeachFire Bar and Grill for pub-style grub, or Angelina’s for authentic Italian cuisine. Ogunquit hosts a variety of events year-round including Spring Restaurant Week, 4th of July fireworks, and Fall OgunquitFest. Nestled in Kennebunkport’s historic residential district, The Captain Jefferds Inn is just the place for your next weekend getaway in Maine. The Captain Jefferds Inn provides personal service and special touches that elevate your stay, including wireless internet throughout, bikes for guest use, and a delicious three-course breakfast each morning. Guests can also enjoy afternoon tea with home-baked goods and light d’oeuvres, as well as fresh-squeezed lemonade and iced tea in the summer and hot mulled cider in the winter. The Captain Jefferds Inn has 16 rooms, five of which are pet-friendly, each individually decorated and include a private bath. Many rooms also include a gas fireplace or wood-styled stove. The Inn is only a short walk to Dock Square, Kennebunkport’s village center. There you will find boutiques, art galleries, antique shops, and a full range of restaurants. Walk along the harbor or venture out on a tour into the Atlantic to see migrating whales. With many historic buildings and captain’s houses still standing, walking the streets of Kennebunkport can sometimes feel like stepping back in time. The Captain Jefferds Inn is consistently ranked at the top of Trip Advisor with a 98% approval rating. Kennebunkport is one of New England’s most famous seaside villages, and The Nonantum Resort makes incredible use of it! The beautiful sandy beaches and rocky shores of Kennebunkport is a picture-perfect vacation destination. The pristine Nonantum Resort is located right on the Kennebunk River and features an easy walk to the shops, art galleries and restaurants in Dock Square, in addition to a beautiful view of the majestic river! What's there to do here? In a word- everything! At the Nonantum you'll enjoy food fresh from the farm and the sea, boat tours, fishing, sailing, scenic strolls, bike and kayak outings, or just sitting by the pool watching the lobster boats and picnic yachts idle by. You'll have trouble fitting it all into one visit! The resort is 0.8 miles from the shops, galleries and restaurants of Dock Square and 19.5 miles from Nubble Lighthouse. The resort features a full marina from which a scenic lobster boat tour departs, plus an outdoor heated pool, and three restaurants. Cliff House is simply than one of the most captivating oceanfront destinations in the great state of Maine. Let them prove it to you! The panoramic views Cliff House Maine are almost beyond description, but we're going to attempt to do it anyway. The rocky coast of southern Maine is equally ideal for meditation and adventure. Get up early and watch the sun rise as it peeks its head over the coastline, or grab a bite to eat out on the patio and enjoy the weather. Inside you'll have your choice from over 130 stylish guest rooms and suites, each as charming and luxurious as the last. All this, plus you're just minutes from Ogunquit’s sandy beach and just over an hour north of Boston! 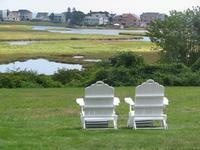 The resort is 0.8 miles from Cape Neddick Country Club. There's a fine dining restaurant on-site, plus a poolside grill and a casual lounge. Framed by the beauty of Ogunquit and York Beach, Sea Rose Suites offers unique experiences and superb comfort. As an all-suite hotel, luxury is Sea Rose's highest priority. All of their beautifully appointed suites feature cable, fully equipped kitchenettes, high speed internet access, and individual climate control for your maximum comfort. Step outside and you're immediately within easy walking distance of Ogunquit Beach, the Marginal Way, and the incredibly picturesque Perkins Cove. Take a trolley to one of the plethora of local galleries, shops, fine restaurants or golf courses, as well as the famous Ogunquit Playhouse. It's the premier way to experience Ogunquit! The Lodge is three miles from Moody Beach and seven miles from Cape Neddick Lighthouse. Amenities include indoor and outdoor pools, plus a fitness room and free parking. The Balance Rock Inn was originally built as a family “cottage” all the way back in 1903. Let's just say it hasn't survived this long by offering an inferior product! Superb serenity in a naturally gorgeous setting. Balance Rock Inn knows what intensive tranquility looks like. And you will too, once you arrive and gaze upon the panoramic views of Frenchman’s Bay, the secluded tree-covered property, and, of course, the Inn itself. Inside you'll find handsomely appointed rooms, ample amenities, and superb hospitality from the insanely friendly staff. Inside your accommodations you'll find fireplaces, whirlpool baths, saunas and private porches featuring gorgeous ocean views. Luxury, thy name is Balance Rock Inn! 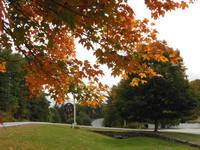 The hotel is a 4-minute walk from downtown and 1.5 miles from Acadia National Park. There's also a sundeck, a fire pit and a heated outdoor pool with ocean views.